Previous Post: Florida Film Festival Premiere Recap Next Post: October and November Festival Screenings! I’ve been champing at the bit to see this film, and live in Melbourne! When I heard you’d be showing (no pun intended) at the Oaks on Friday night, I cancelled a pretty stout commitment so I could attend. 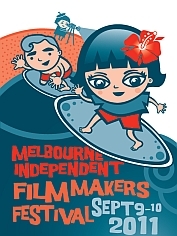 But MIFF (per their website) sez they’re having a PARTY from 7-9pm on Friday, with nothing scheduled movie-wise during that time slot. How can I get confirmation or buy tickets? Throw me a bone!